Things are getting off to a flying start this year, with the opening of a brand new gallery space in Derby. The Skullduggery Gallery will be showcasing the work of some seriously interesting contemporary artists, kicking things off with a grand opening show on the 30th of January. I’m not posting a list of the exhibiting artists until everyone is confirmed, just in case i jinx it all, but BxOxTxC finally has three new T-shirt designs available at the event featuring work by myself, Adam Gray, and the living legend who goes by the name of Simon True. 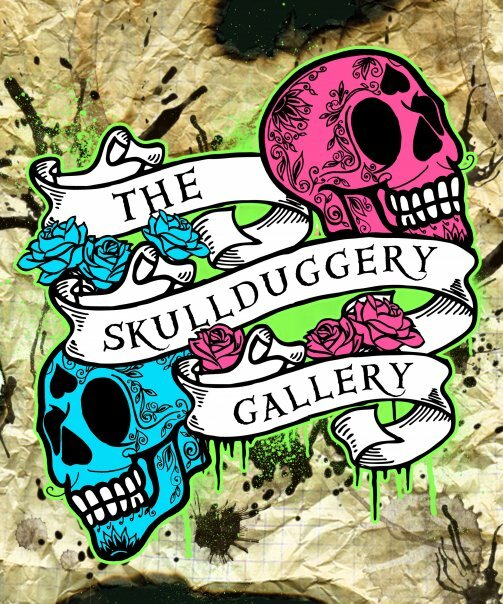 The Skullduggery Gallery is situated in Cherry Bomb on Saddler Gate, Derby. 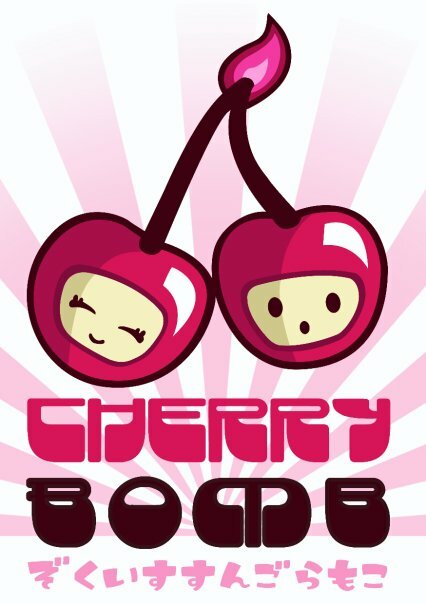 If you’ve never heard of Cherrybomb, thats because it used to be called Boo. After a cheeky little refurb and a change of identity, it’s back with both guns blazing. Right then, hopefully I’ll see you all there ready to support some real homegrown artists and projects. This event is about as D.I.Y as it gets, so come on down and show some love. Finally, a massive thank you to Holly, Rootz, and Gavin for making it all happen. The Skullduggery gallery fan page. A massive thank you goes out to Boo in Derby, who have kindly stocked their shop with a few of our T-shirts and girls vests. Much obliged to you for that! Boo specialises in Fairtrade and sustainable goods, and the shop on Saddlergate is full to the brim with a fantastically diverse mix of unique, well made, and ethically minded goods. In fact, just follow the link to the website below and have a look for yourself. Or better still, just go down to the shop and have a look around and a chat! What with most of the shops on the once lovely Saddler Gate shopping street having met their demise over the last few years, it’s great to see that a few nice boutiques are keeping their heads above water. The skateshop dissapeared at some point while I was away in Japan, along with the miniramp in the beer garden of The Blue Dog (how amazing was that little set up?) , and pretty much all of the little shops I used to spend my hard earned money in. Keep up the good work Holly! And as for you lot, i strongly suggest you get down there and do your last minute Christmas shopping.